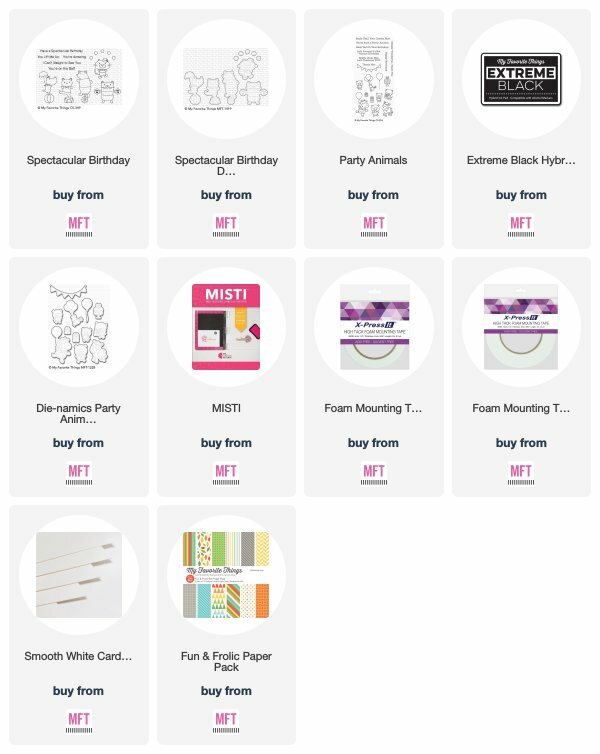 Hello and welcome to the MFT February Release Countdown Day 1! All of the amazing new products will be available tomorrow, February 5 at 10 AM EST. 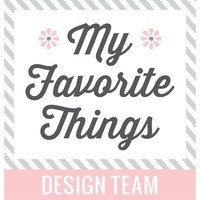 Make sure to stop by the MFT Blog during the countdown to see the full reveal. My project today features the super cute Spectacular Birthday set. 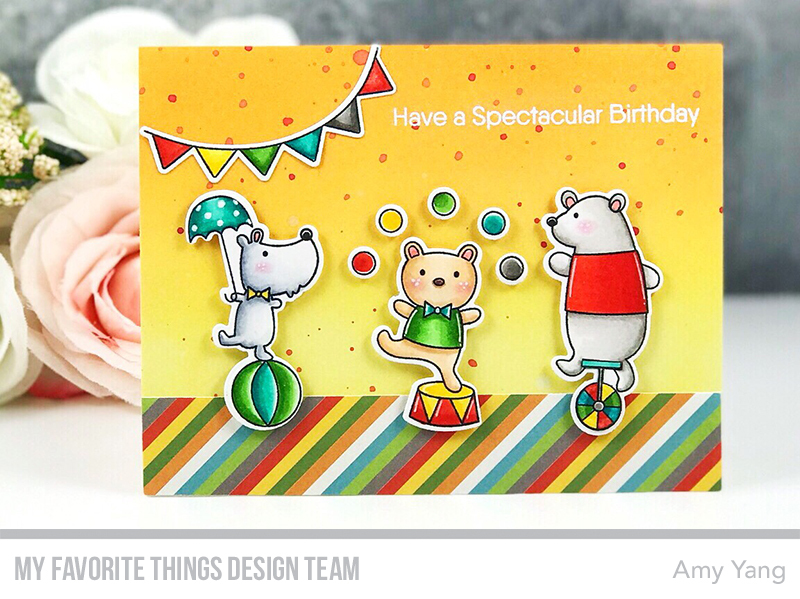 To begin, I Copic colored the stamped images from the Spectacular Birthday stamp set and the banner from the Party Animals and cut them out with the coordinating dies. The front panel was ink blended with Distress Oxides and I added ink splatters to add some interest. Once the panel dried, I heat embossed the sentiment from the stamp set. I added a panel of patterned paper from Fun and Frolic Paper Pack. To finish, I foam mounted the colored images as shown. 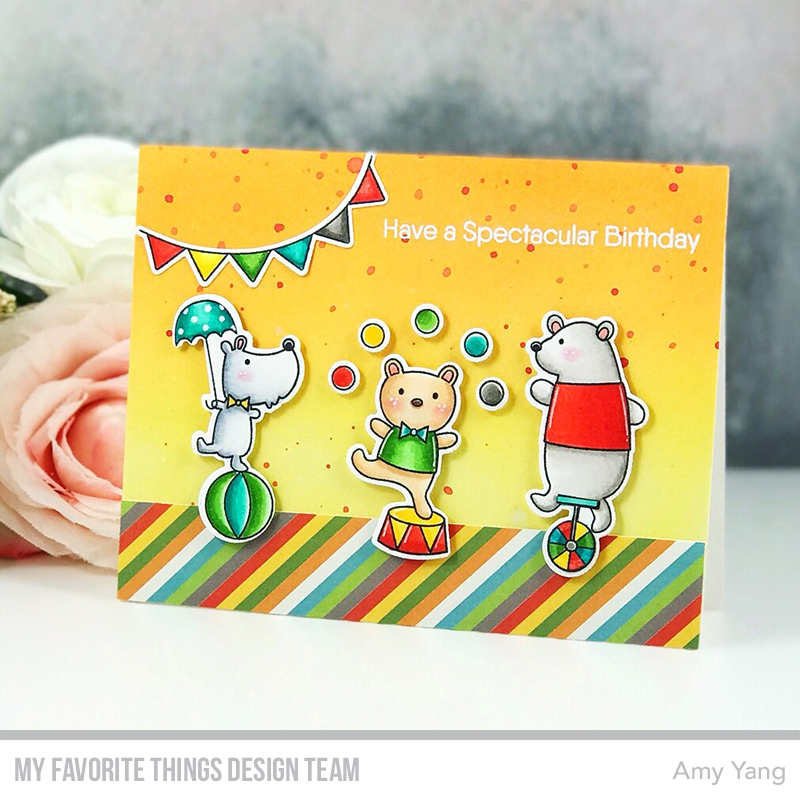 Amy, this card is so sweet and happy--love it! Such fun colors and sweet card! Oh my goodness Amy, your card is amazing! So colorful and bright. This would certainly brighten anyone's day. 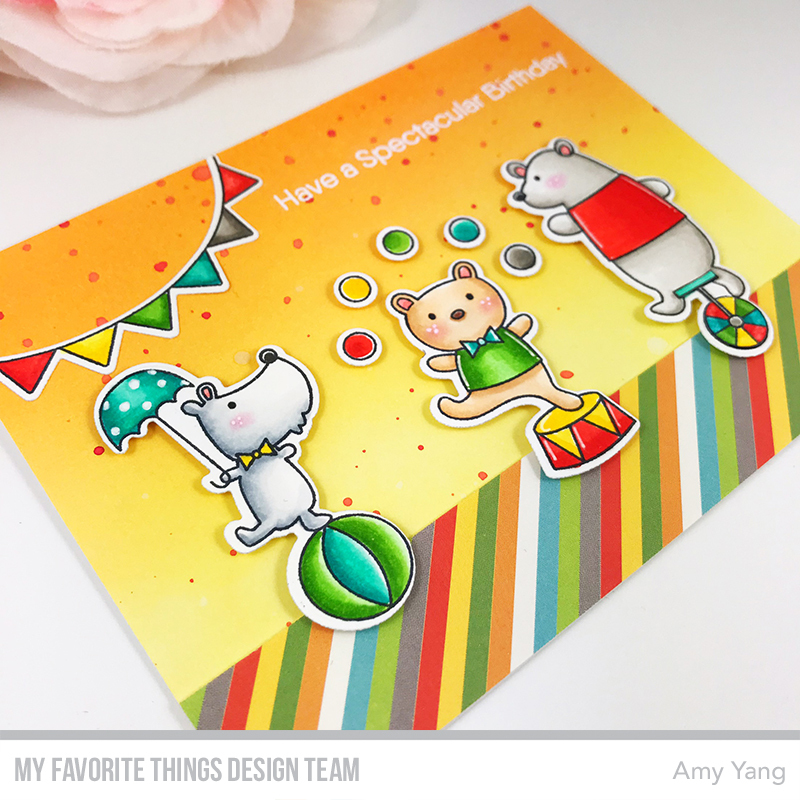 Cute card and fun colors! I love the red splatters! The bright colors make the this card so festive! What fun to have a terrific circus for a Birthday card! 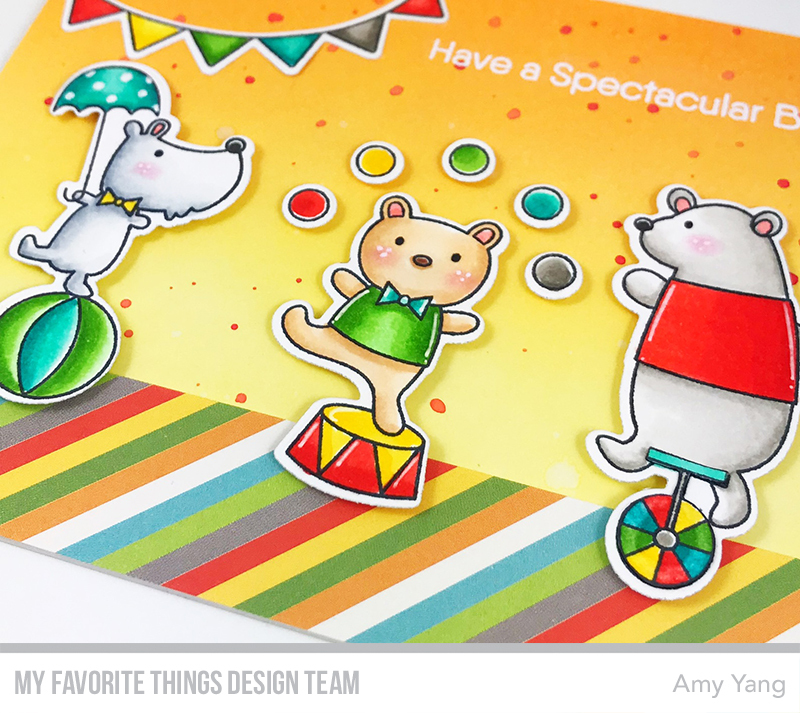 What fun to have a colorful circus Birthday card with charming animals! 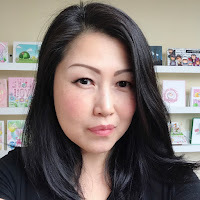 MFT THE BIRTHDAY PROJECT - YOU'RE HOW OLD?